Composed by David Shaffer. Young Concert Band. 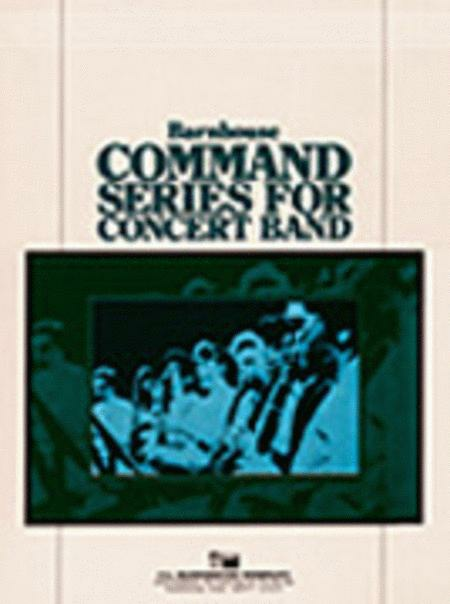 Command Series. Audio recording available separately (items CL.WFR323 & CL.WFR344). Extra full score. Composed 2002. Duration 4 minutes, 39 seconds. Published by C.L. Barnhouse (CL.011-3234-01). Starts out with a bold and powerful "Ceremony" section which features a drone in the lower instrumentments, it then segues into the bright and energetic "Chant". After the slow and expressive "Ritual" follows with a recapitulation of the "Ceremony" and "Chant" sections. Lots of percussion parts which will keep your drummers interested and involved. An outstanding selection for any concert or contest performance. The Barnhouse Command Series includes works at grade levels 2, 2.5, and 3. This series is designed for middle school and junior high school bands, as well as high school bands of smaller instrumentation or limited experience. 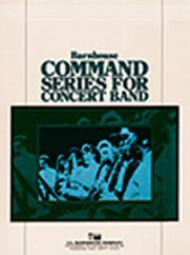 Command Series publications have a slightly larger instrumentation than the Rising Band Series, and are typically of larger scope, duration, and musical content.